Free Studio is a bundle with all free multimedia applications which have been developed by DVDVideoSoft. With this free software you can convert video and audio files between different formats and to iPod, PSP, iPhone, BlackBerry and all popular mobile phones and devices; burn and rip DVDs and audio CDs; upload and download YouTube videos and music to your computer, iPod, PSP, iPhone and BlackBerry; perform basic editing of audio and video files as well as record videos and make snapshots. New Free Studio Manager is a completely redesigned all-in-one package. 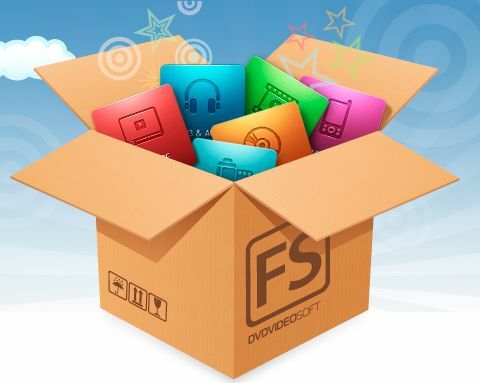 It contains 8 sections to bundle all free multimedia applications which have been developed by DVDVideoSoft. These sections the following: YouTube, MP3&Audio, CD-DVD-BD, DVD&Video, Photo&Images, Mobiles, Apple Devices, 3D. Thus all the programs are included in the new interface for easy access to any of them. Free Studio contains no spyware or adware. It's clearly free and absolutely safe to install and run. I have not received any msg or confirmation link as u said before. The best free software is the only one I use for my music and videos. Free Studio includes everything that I need. All the tools are easy to use, I recommend! In my opinion Free Studio with its bundle of programs is FANTASTIC! I use it regularly, more than 3 years. Theres no better program then this one. The most important thing is its free basis. The Software is really good! It cmprises everything one needs to convert audio/ video files. Keep working like this!